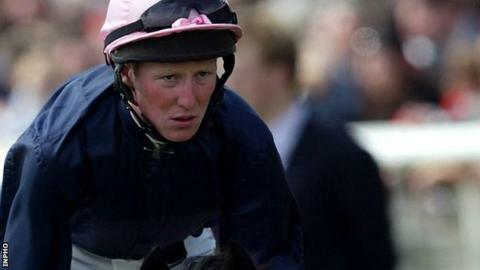 Pat Cosgrave will have his appeal against a six-month ban for improper riding in Dubai heard on Monday. Cosgrave was adjudged to have moved his horse Anaerobio's line to allow the Mike De Kock-trained stablemate Vercingetorix a clear run to victory in the Jebel Hatta on 8 March. Vercingetorix won the Group One race, with Anaerobio finishing third. Cosgrave, 31, from Banbridge in Northern Ireland, was a Royal Ascot winner on Society Rock in 2011.